This entry was posted on Tuesday, March 6th, 2012 at 11:19 pm and is filed under Chinese, French, GCSE, German, independent learning, Learning styles, Mandarin, memory, Useful websites. You can follow any responses to this entry through the RSS 2.0 feed. You can leave a response, or trackback from your own site. 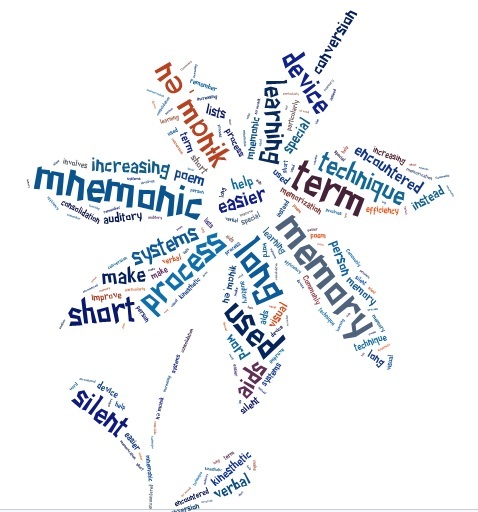 3 Responses to Memory power – how does your garden grow? Hi, thanks for this, I will pass this to our head of MFL. I am a former student of yours, Latymer School – 1978 – 1985, you taught me German, although my grasp of grammar was poor I enjoyed the lessons very much, so a belated thank you is in order. I recently donned the mortarboard as a ‘mature’ teacher and now possess my own board markers. Although I don’t teach MFL, I am a keen Portuguese speaker and have a decent grasp of Spanish and I firmly believe that languages are core to fostering good cultural relations, not to mention the sheer enjoyment of being able to communicate to someone in their own tongue. Thank you for your kind comments, Jorge. I remember you and your class – I think I taught you in each of the three years I was at Latymer, and if I remember rightly I was also your form tutor. Hope the teaching is going well. My pleasure. I so wanted to learn Russian, being bi-lingual I wanted to learn more, but my grades in other subjects were too low to allow me to, or was it because the school did not know I was bi-lingual? I qualified last year, and will be starting my NQT training after half term. Due to a dearth of jobs in my subject, my induction year has been delayed, but had a good year in a challenging secondary school working with SEN. I have calmed down a bit since my teenage years, only a bit mind.